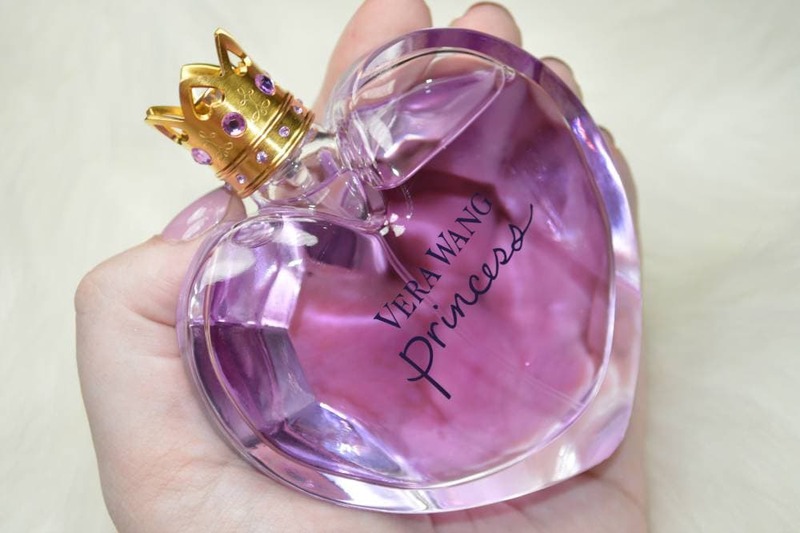 Vera Wang Princess Eau De Toilette Review - Click to read..
Vera Wang Princess Eau De Toilette is a fragrance which I’ve always wanted to try as the notes sounded like my kind of fragrance, and I’d read nothing but rave reviews. I finally took the plunge and purchased it when I noticed the 100ml bottle within the Feelunique sale for only £23 which was crazy, especially as the 30ml version retails for £39. The bottle is really beautiful, and girly which is very fitting considering its name. The glass bottle is shaped into an heart with the perfume being purple to match the box. 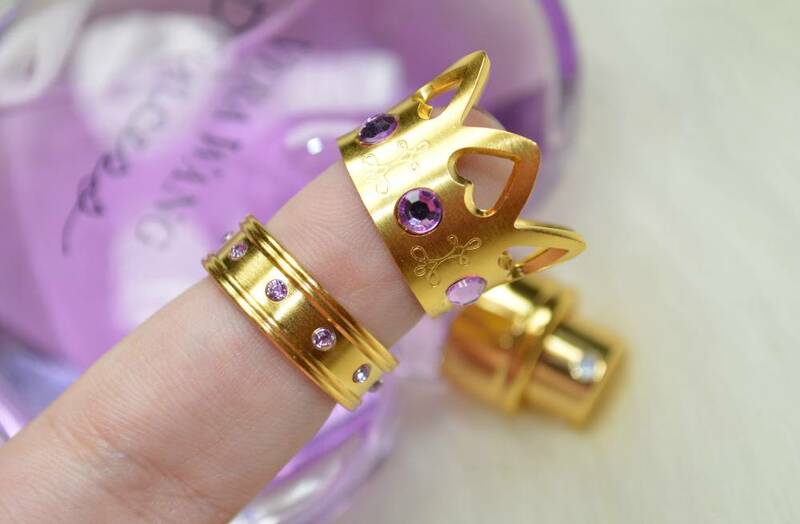 The lid of the bottle is a gold crown shape with purple crystals, and there’s a gold ring which can be detached and used as a ring – if you have super small fingers that is, as it’s teeny tiny. 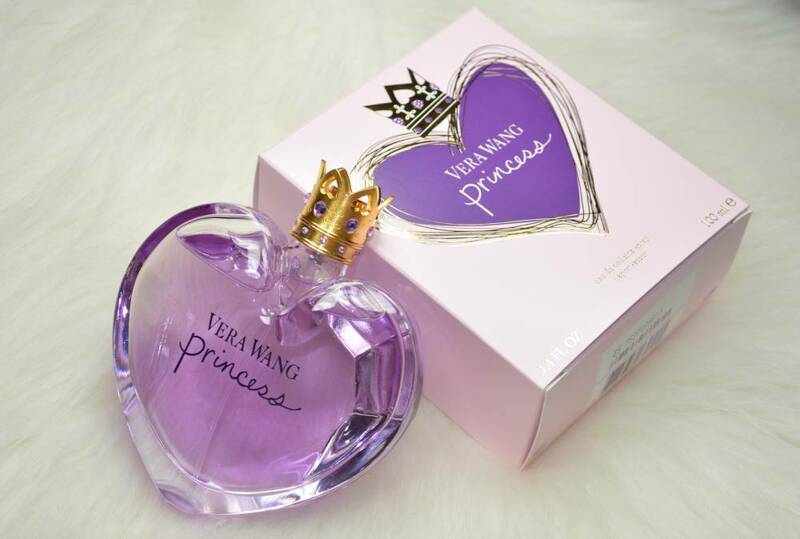 Vera Wang Princess is described as an oriental floral scent which celebrates youth and femininity. The top notes feature water lily, apple, mandarin and apricot, whilst the heart consists of guava, tiare flower, tuberose and dark chocolate. Finally, the base contains vanilla, amber and wood. It’s actually a lot different to what I expected it to be, and I’m not entirely sure I know how I feel about it – I really am on the fence. In the many, many reviews I read of Princess, it was described as being a sweet and fruity scent but to me it’s actually quite powdery and it smells like baby wipes on first spritz but it does sweeten, just slightly. Vera Wang Princess Eau De Toilette is definitely not an horrible fragrance, but it’s just ‘nice’ in my opinion, and nothing special… and definitely not worthy of its super inflated price tag. 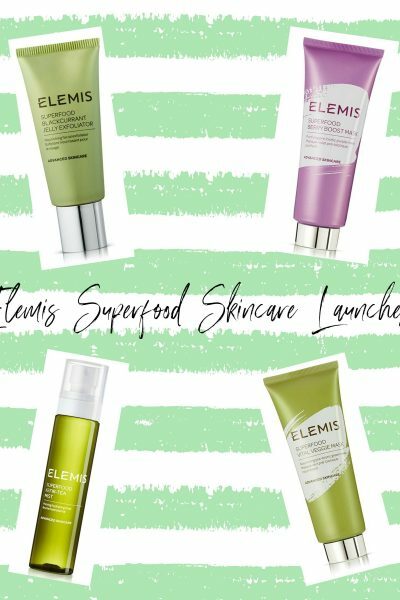 When it comes to fragrance, I’m easily pleased but there’s just something about this scent that doesn’t work particularly well with my skin as I’ve smelt it on other people and I’ve really liked it so I’ll perhaps use it layered over scents to see if it makes any difference. It’s really funny how fragrances smell so differently on different people as I know that so many people love this, but sadly my love for it goes as far as the packaging.